Since being unveiled earlier this summer, iOS 8 and the changes it will bring to the App Store have been eagerly anticipated, but what do they mean for iOS developers, and how will they affect discovery? In this series, we ask industry veterans to share their insights on what to expect and how to stay ahead of the curve, as we explore the Road to iOS 8. Be sure to check out Parts II & III on Improved App Store Discovery and App Previews. 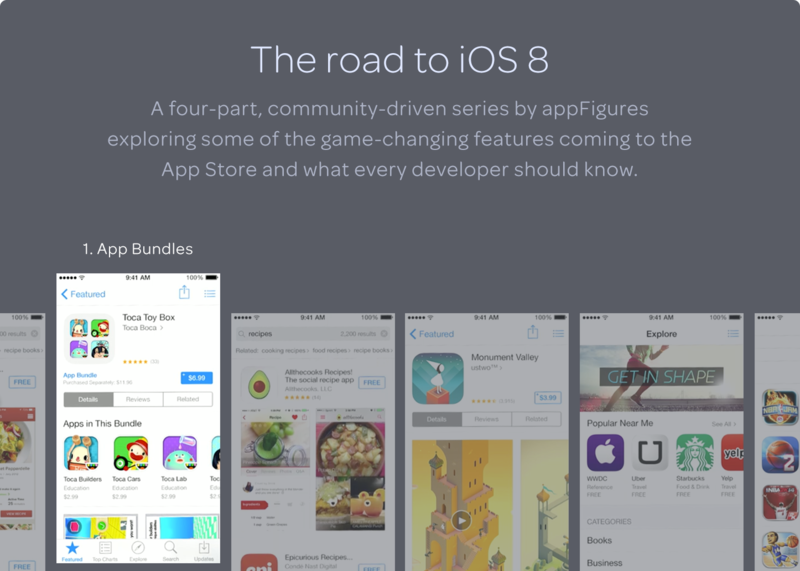 In the first part of the series we’ll be shedding some light on App Bundles, a relatively little-discussed feature of iOS 8, which could become the most significant new way to monetize iOS apps since in-app purchases.The ability to sell app bundles opens up great opportunities for developers, but is sure to bring with it a new set of challenges as well. To help you make the best of it we’ve enlisted the help of our friend and industry veteran Joe Cieplinski from Bombing Brain Interactive. Joe has been keeping close watch on app bundles since day one and was kind enough to share some of his insights with us. What type of apps/developers do you think will benefit most from bundles? I think indie developers who mainly target the paid up front model stand to benefit most. Game developers, big social media and other corporations who mostly give their apps away for free, stand to gain less from this. They could use bundles, I suppose, as a method of cross promotion, or to charge a small up front fee for multiple apps instead of doing everything as a freemium model. But I think the big winners here will be smaller indie companies who are still selling their wares to smaller audiences at an up-front price. How do you see bundles affecting discovery (ranks, reviews, etc)? You could use bundles as a fairly effective cross-promotion tool. We have the “related” tab on the app store, but I wonder sometimes how many people ever look to see what other apps a particular developer has made. With a bundle, there’s a financial incentive to look at what else might be on offer. Again, it helps if your apps are related to each other. Bundling a game with a notes app might not be very effective. But you never know. I’m sure developers will come up with all sorts of creative ways to use this new feature that we haven’t thought of yet. As far as discovery goes, I do think that the financial incentive to at least glance at a bundle is a heck of a lot stronger than the one to scroll down a list of fifty or sixty search results. Reviews are always tough to get, but I suppose if you sell an app to the kind of person who writes a review, and you can sell another one to that same person, then that other app has a better chance at getting another review. Rankings might actually get worse for smaller indies, because this may be the strongest incentive for the big, high-ranking apps to use bundles themselves. They could easily crowd people out of the top 100 by bundling ten of their own apps together and getting them all on the top lists. Top lists are never going to be a good place for smaller indies to concentrate their efforts. It’s a lost cause. Can you provide any technical details behind app bundles? Apps in a bundle must be from the same developer. So no bundles between developers. (I’d love to see this change, but that rule has been stated clearly.) Bundles are also iOS only at this point. Can’t bundle iOS apps with Mac apps, even from the same developer. In addition, a little birdie tells me (this hasn’t been publicly disclosed yet, and it could be wrong, or Apple could change its mind, but I get it from a solid source) that bundles cannot include an iPhone only app and an iPad only app. In other words, you can’t use a bundle to sell the same app’s iPad and iPhone versions. Same device class only. So two iPhone apps. Three iPad apps. Five Universal apps. etc. Which is a real bummer, if it’s true, because I thought that would be one of the major benefits of bundles to indie developers. My guess is that Apple doesn’t want to give us an incentive to not make our apps universal. They also don’t want to confuse customers, or have customers buying apps for devices they don’t yet own. Do you see bundles as working better for the same app on different devices (iPhone, iPad, mac) or for different apps for the same device? As I mentioned in 1 above, it doesn’t look as if Apple will allow us to bundle apps for different devices. We know for sure this won’t happen between Mac and iOS, and that makes sense, given that it could confuse customers who might buy a bundle on iOS without even owning a Mac. With iPads and iPhones, I suppose Apple would make a similar argument. That a customer on an iPhone might buy a bundle, not realizing that the second app is iPad-only, and they don’t own an iPad. Again, I hope Apple changes this, or that my source is wrong on this matter. But I have a strong feeling this is accurate info. Maybe if bundles prove to be very effective, Apple will find a way to expand the program over time. How do you intend to take advantage of bundle pricing for your apps? And do you think there’s a good guideline to follow when pricing bundles? At Bombing Brain, we have our Teleprompt+ app, which is already universal. We have a new app in development, meanwhile, that many Teleprompt+ users may find very useful. So we intend to sell this new app on its own, as well as inside a bundle with Teleprompt+. That way, we can reward our loyal customers who have already purchased one of our apps by offering a discount on this new app, essentially. Because, if my understanding is correct, there is a “complete my bundle” feature, which allows customers to pay the difference between what they paid for the one app and what the total bundle would cost. This is a huge thing. It’s a massive incentive for indie developers like us to be thinking about targeting our new product ideas toward similar audiences. Which is good business, anyway. But Apple is making it that much easier for us, and I think that’s great. Obviously, it needs to be cheaper than buying the apps separately. I wouldn’t make it less than buying either one of the apps on its own, either. But anywhere in between could work, depending on your audience. The nice thing about bundles is that you’re not discounting either one of your products. You’re not cheapening the product itself, or making people think your software is worth less. You’re simply offering a reward for buying more than one app from the same company. Customers can see clearly what they would have paid for the apps separately, so they know exactly how much of a reward they are getting. Thanks to Joe for sharing his insights and providing some protips to help us prepare for iOS 8. Be sure to read the complete App Bundle guide from Apple, and check out our next installment on The Road to iOS 8: Improved App Store Discovery. 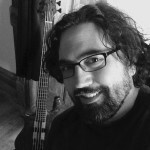 Joe Cieplinski is a lifelong musician and technology nerd, now living in Manhattan. He is currently developing UX and Graphics for Bombing Brain Interactive, an iOS and Mac OS X development company. Joe is the creator of x2y, an aspect ratio calculator, and Fin, a timer for live performers, both for iOS. Joe is also the co-host of Release Notes, a podcast about iOS development. Follow him on twitter @jcieplinski. We are seeing unrelated bundles crowd and spam the app store. It is obvious that these apps can’t perform based on their own merit and crowd out the competition. Completely irrelevant bundles should not be allowed by the app store. Also, if the bundle has no sales and no reviews, it should never rank anywhere near the top in any ranking algorithm.